From the founding father of science fiction H.G. Wells, a masterpiece about a man trapped in the terror of his own creation. The Invisible Man inspired The Map of Chaos by New York Times bestselling author Félix J. Palma. As a gift to readers, this ebook edition includes an excerpt from The Map of Chaos. A fantastic fiction. 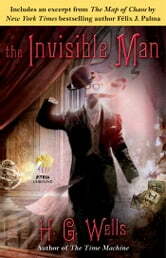 The invisible man is a marvelous creation by H.G.Wells . Great going and everyone hopes that you write more to win the hearts of everyone. It is amazing how this speaks to how science CAN lead us to do horrible things if we are not careful...great read.